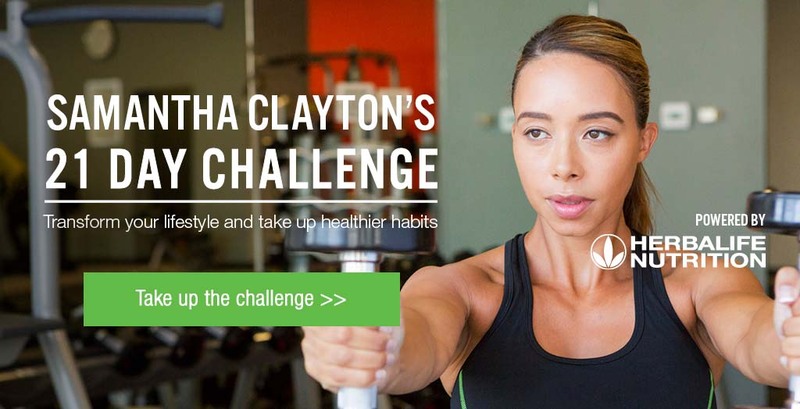 WELCOME back, and today is day 10 of your 21 Day Challenge with Samantha Clayton. Congratulations for your persistence and dedication. You have already done amazing! Today another exciting and essential workout is waiting for you: it’s Upper Body Workout – Week 2! With our expert and ex-Olympic athlete Samantha Clayton, you are in safe hands to make the most of your exercise. Bear in mind, all these workouts are professionally built, easy to follow and only take 10-20 minutes. But you can always repeat the sequences as many time as you feel like – depending on your fitness level and condition on the day. Take it easy, be patient with your body and concentrate on each exercise, to give your best on the day. If you are only beginning your Challenge and you would need Day 1 workout, please click here. Your Beginner workout will start with an exclusive functional warm up – brought to you by Mark Colonel – to get you going and ready for your exercise. This is followed by the toning workout with Sam. Some may find the beginner workouts easy or want a more challenging session. Therefore we suggest trying out theFit to Fitter Upper Body Workout. The workouts are uploaded onto the blog every single day. So don’t forget to check in regularly for your daily dose of workout videos, information and support with the right products. To find out more about the product options Herbalife Nutrition provides, you can view different product bundles here.